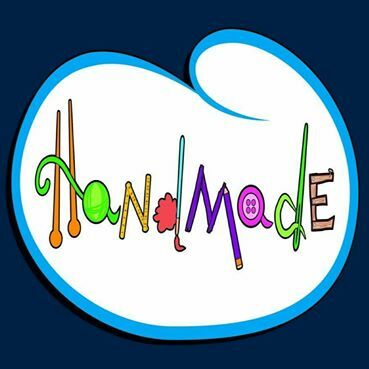 Handmade is a store for creative handmade items, which are made with love and passion for art. EL-KARMA's an Egyptian company specialized in the field of manufacturing natural beauty products, developed by Dina El-Garem Group, with Be Cleopatra as its main line. About Areej Aromatherapy Areej Aromatherapy was born out of the Hashem Brothers family partnership over five years of continuous research and development through collaboration with global experts in an effort to reintroduce aromatherapy in Egypt 4000 years later using authentic Egyptian ingredients. We are a group of young entrepreneur artists who are trying to help and support the Egyptian handmade industries by generating new and modern designs that can go globally to satisfy the customer needs and expectations. Hegaza Village is 20 km far from AL Uxor city & it is well known for the craft of wooden products. It originates 20 years ago, when a French Priest started to teach the people woodwork crafting. Hegaza wood products varies between the Pharaonic, Coptic, & Islamic styles. LE 385.00 Joud is a brand with a soul that will add a spark to your daily life by making your home alive that emits an artistic charisma with our diverse range of designs & products. LE 420.00 Joud is a brand with a soul that will add a spark to your daily life by making your home alive that emits an artistic charisma with our diverse range of designs & products. LE 285.00 Joud is a brand with a soul that will add a spark to your daily life by making your home alive that emits an artistic charisma with our diverse range of designs & products. LE 340.00 Joud is a brand with a soul that will add a spark to your daily life by making your home alive that emits an artistic charisma with our diverse range of designs & products. LE 390.00 Joud is a brand with a soul that will add a spark to your daily life by making your home alive that emits an artistic charisma with our diverse range of designs & products. LE 315.00 Joud is a brand with a soul that will add a spark to your daily life by making your home alive that emits an artistic charisma with our diverse range of designs & products. LE 445.00 Joud is a brand with a soul that will add a spark to your daily life by making your home alive that emits an artistic charisma with our diverse range of designs & products. LE 360.00 Joud is a brand with a soul that will add a spark to your daily life by making your home alive that emits an artistic charisma with our diverse range of designs & products. LE 460.00 Joud is a brand with a soul that will add a spark to your daily life by making your home alive that emits an artistic charisma with our diverse range of designs & products. LE 298.00 Joud is a brand with a soul that will add a spark to your daily life by making your home alive that emits an artistic charisma with our diverse range of designs & products. LE 230.00 Joud is a brand with a soul that will add a spark to your daily life by making your home alive that emits an artistic charisma with our diverse range of designs & products. LE 345.00 Joud is a brand with a soul that will add a spark to your daily life by making your home alive that emits an artistic charisma with our diverse range of designs & products. LE 250.00 Joud is a brand with a soul that will add a spark to your daily life by making your home alive that emits an artistic charisma with our diverse range of designs & products. LE 470.00 Joud is a brand with a soul that will add a spark to your daily life by making your home alive that emits an artistic charisma with our diverse range of designs & products. LE 90.00 Joud is a brand with a soul that will add a spark to your daily life by making your home alive that emits an artistic charisma with our diverse range of designs & products. This handmade crochet rug will surprise you with the awesomeness of the finishing & detailing of the colors. This carpet has round multicolor circles to give a modern stylish touch to your house. Machine-washable, Size 12 Squares (100cm*70cm). Expected time for delivery is two weeks. A positive vibe to the place, mixed with a feeling of uniqueness & passion to life. This handmade rectangular crochet rug is washing machine-friendly & available in different colors.110*110. Expected time for delivery is two weeks. A rectangular handmade rug that is beautiful to make any part of the house look fabulous. Crochet, washing machine-friendly & comes in different colors. Each square is 20 cm*20 cm.Expected time for delivery is two weeks. Put this square shaped crochet rug anywhere in the house to give an authentic feel to the house. Handmade crochet, washing machine-friendly & available in different patterns to match any style. lenght around 100 cm. Expected time for delivery is two weeks. A colorful mat that proves how special a room could be. This thick handmade rectangular rug is machine washable. Expected time for delivery is two weeks.. If you're looking for a small handmade carpet for the entrance of your house, you wouldn't want any better than this. Colorful, crochet & machine-washable. Diametere Around 90 cm to 150 cm . Expected time for delivery is two weeks. Get your fashion mode on with a unique summery bag that will match any outfit, no matter what the occasion is, this bag is handmade especially for you to show how special you want to look. The exquisite crochet color patched sofa is the perfect edition to your modern home. When you look for furniture, it would be great to include a piece that is crafted uniquely for your house. Your kingdom is only yours, and so should be your arm chair, comes in beautiful color or in black & white, this handmade arm chair is so comfy and will be your favorite in the house. This square ottoman is a great piece for your bedroom or living room, this piece features decorative stitching on the top, covered with crochet cotton fabric & available in different colors & patterns. The square shape makes it perfect for small spaces. Expected delivery time is one month. Imagine a beautiful bedroom with a special space for yourself to just sit and enjoy some me-time. You'll never run out of reasons to admire this round ottoman, covered with handmade crochet cotton fabric & available in different colors & patterns. Create an authentic corner in the house where you feel chilled & relaxed. Decorate it with this round sponge-filled fabric pouffe, covered with removable machine-washable handmade crochet cover & available in different colors & patterns.Height 50 cm circumference 200 cm. Comfort, authenticity & practicality are combined in a piece of art that is crafted to impress everyone with the details of this square sponge-filled handmade pouffe, covered with removable machine-washable cover & available in different patterns & colors. Height 60 CM Length 30 CM. The one seat crochet swing will add a colorful touch to your garden while occupying a minimal space. A lifetime durable chair for your garden or to take along to the beach. When you look for comfort, we've got you covered with this round handmade crocheted cushion. Relax, take it easy, we've got all the colors you would want to add happiness to your couch and comfort to your body. made of Cotton. Expected time for delivery is two weeks. If you are seeking comfort and simplicity; then our new embroidery cushions are the best to add to your lounge, living room or your favorite armchair. They are covered with delicate cotton crochet threads. Cushions are without fillers, covers only. When you need to add a colorful touch to your yummy breakfast, this bread basket will do the job better than any other piece on your dining table, whether it's modern or classic.Its made of fabric "cotton". Expected time for delivery is two weeks. Forget the usual waste baskets, because now your waste basket can be part of your home decoration, put this colorful waste basket in any corner, and you will see the glow it will add to the house. Expected time for delivery is two weeks. The perfect storage basket for your little things is here. Handmade, colorful & the best thing about it: machine-washable! Store your little accessories, living room stuff or decorate your bathroom. height: 10cm; length: 20cm; width: 15cm. Expected time for delivery is two weeks. Dead Sea Footbath Powder for a perfect soak & Marbles to enjoy marbles massage. Don't ever forget the marble massage whilst soaking your feet in Salt baths. Add a layer of marbles to the foot bath bowl and enjoy rolling your feet back and forth over the marbles Occasionally grasp and release marbles with toes This action stretches and relaxes the feet. Our Aromatic Foot Scrub is designed to: Boost blood circulation in your feet. Loosen any dead skin cells. Moisturize and soften your skin. Active Ingredients : Bees wax – Cocoa Butter – Caster oil – Corn Meal grains – Dead Sea Salts – Peppermint essential oil. … a natural volcanic rock…is a wonder in removing hard skin on top of heels to remove dead skin cells. A nature volcanic is a wonder for smoothing away hard skin and preventing built-up. Our magical products included, deliver a more intense level of benefit for hair that needs special care. It penetrates deep into hair locks to impart herbal nutrients and vitamins to…. Now You no longer have to figure out what group of product to purchase that set the mood for romance. 100% Pure and Natural Essential Oils and Absolutes—distilled, expressed, or extracted from plants—to help promote balance of mind, body and emotion. Undiluted and unadulterated aromatic notes for personalizing your experience. These are the true heart of aromatherapy. Capture your energy to enhance your state of being by choosing an aroma made from pure and natural essential oils instead of synthetic fragrances. Wear one Energy Capture Body Aroma alone or several together to create your own personalized experience. Calm skin after shaving with this refreshing aftershave specially formulated with natural plant oils for soothing and a cooling antiseptic blend of essential oils to rejuvenate skin. Light-weight formula with 100% natural essential oils keeps those annoying summer biters away. Hydrating Hair Treatment. Conditioning botanical plant oils combined with a 100% natural energizing essential oil blend helps nourish dry hair and balance the scalp’s natural oils to promote the look of healthy lustrous hair. Anti Lice Prevention Treatment & Intense Treatment. These 100% all pure and natural two formulas with geranium and tea tree fight lice in the most natural way with nourishing at the same time. Our Bath Bombs contain food grade colorants, are scented with pure essential oils or fragrance and contain coconut oil to nourish, moisturize and rejuvenate your skin. Alia Egyptian Lamp, Hand Beaten Metal Lantern An elegant contemporary lantern from Nile Flowers Handcrafts to add beauty to your homes and events. Alia Egyptian Lamp. Hand-Beaten Metal Lantern. 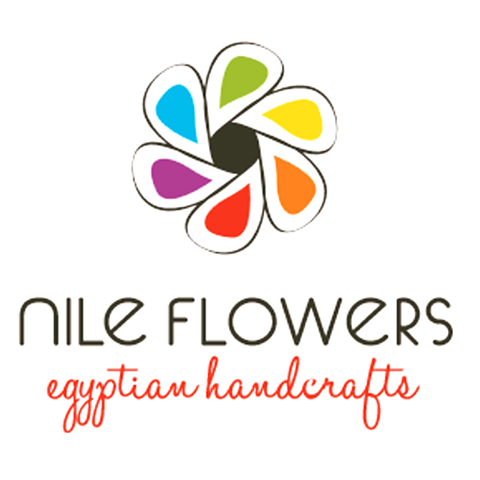 An elegant contemporary lantern from Nile Flowers Handcrafts to add beauty to your homes and events. Floor Cushion. This cushion features different colors, which can be used on both sides to decorate your room to give it an elegant look. Floor Cushion, This cushion features different colors, which can be used in both sides to decorate your room to give it an elegant look. Chair Cushion. This cushion features different colors, which can be used on both sides to decorate your room to give it an elegant look. Cushion. This cushion features different colors, which can be used on both sides to decorate your room to give it an elegant look. The fabric is high-quality cotton and is beautifully smooth to the touch. Cushion cover , Throw pillow This cushion cover features different colors, which can be used in both sides to decorate your room to give it an elegant look. Floor Mandala Cushion. This cushion features different colors, which can be used on both sides to decorate your room to give it an elegant look.